What is the Best Online Homeschool Planner? Update 11/30/2017: Click over to this article to see an updated comparison of online homeschool planners available. Up until recently I have been organizing my life via pen and paper, but as I mentioned in February, I’m slowly transitioning to a paperless system for my organization needs so as to hopefully, over time, create less clutter and save time. As I begin to plan for the 2015-2016 school year, I decided that maybe this was my time to take the big leap into digitally organizing my homeschool plans. However, before making the BIG digital transition, I had three important questions waning at the back of my mind that I wanted to know the answers to first. What were my three questions? Would an online homeschool planner meet my needs more efficiently? What is the best online homeschool planner available? These three questions sent me on a wild goose chase to test out any online planner I could find. I even found a few beta options that may join the market in the next year or two (but for the time being didn’t make this list). That is not to say that they may not be a great option for you, they just didn’t meet my criteria for an ONLINE planner AND record keeper. So what all did I find out? Download the chart below to learn all the great features offered by these 9 planners or follow the flow chart in the infograph to determine which planner might be best for you. Keep in mind, this is just one person’s opinion, and everyone’s organization personality is a little different. So, if you choose to plan online, be sure to check out at least a couple options to see which would be best for you and your family. 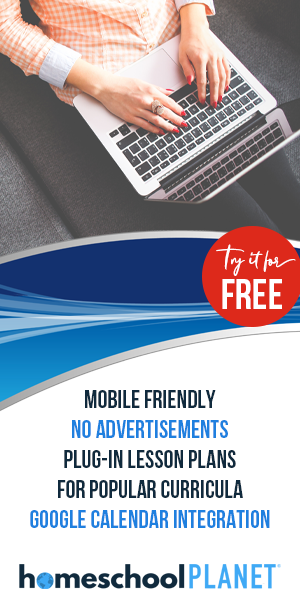 Click the image above to download this free analysis of 9 of the best online homeschool planners. Update 1/13/16: Homeschool Planet now allows you the ability to add pdf files to your assignments. Update 10/9/17: Lessontrek now has multiple transcript options among other updates. See my full article on their latest upgrades here. Which online homeschool planner is best for you? Check out this infograph to find out! Still not sure? I can’t make the decision for you because everyone’s organization styles are a little different, but I can share with you a few programs that stood out through the course of my analysis. Maybe that will help. Which online homeschool planner did I choose? 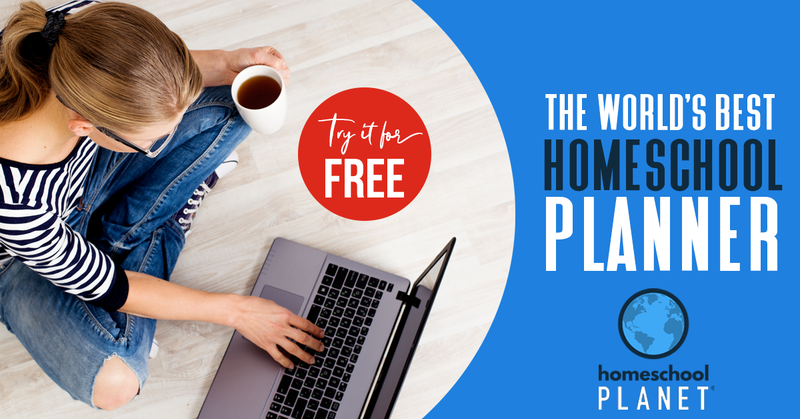 After spending several days on each platform, I finally narrowed it down to Homeschool Planet for us, because I like being able to enter in multiple assignments at once, having mobile access, and scheduling assignments for both of my girls at the same time. What about you? What homeschool planning system has been best for you? Wow this is a great resource for those that are looking for a homeschool planner. Thanks for sharing on Merry Monday. I am still a pen and paper gal. I like to have a paper planner where I can keep up with everything in one spot – appointments, homeschool, meal plan. However, I LOVE that you researched all these digital planners. Your flow chart is awesome! Based on it, the SIMPLE PLAN is the right one for me. I may have to make the switch. I LOVE how much thought, work, and effort you put into your research. I still do all of my planning with paper and pencil, but I’m sick of paying for planning materials. My husband keeps telling me I need to go digital but I’ve been resisting. This is an excellent resource. Though, I don’t think ready to give up my pen and paper just yet. Wow. You have done so much research. I’m passing this onto my readers. Thanks Erlene. Hope it helps many. How cool! Glad you took the flow chart for a spin. Yeah, I’m sometimes torn whether it is worth switching or not, but the thing I do like about digital is that I don’t have to carry anything extra around and I have my plans with me whether I’m at the library, in the park, or in the school room. That’s so handy! I hear you Sarah. Thanks for the compliment though. It did take a lot of time to research so hopefully, if you do decide to make the switch later, I will save you lots of time. 😉 Have fun planning for the new year! Thanks Belinda. That means a lot! I appreciate it! You are welcome Terri! Thanks for hopping over! This is amazing. I was just looking at planners the other day and I got totally overwhelmed and stopped. What a great resource you’ve compiled here! Thank you. I totally hear you. You are welcome! Hope it helps. I currently use LessonTrek because I got a great deal on it and I loved the drag and drop feature (which works well for my spontaneous planning days). You’ve shared a lot of planners I never heard of before. Definitely pinning this for future reference. Good to know. I love those that have a drag and drop feature. So helpful. Thanks for hopping over! Nice job on your evaluations! I love the chart =) Right now I just use pencil and a notebook, but I like looking at options, so thanks! I hear ya. Well, if you do ever decide to go the online route, now you will have a better idea of where to start.